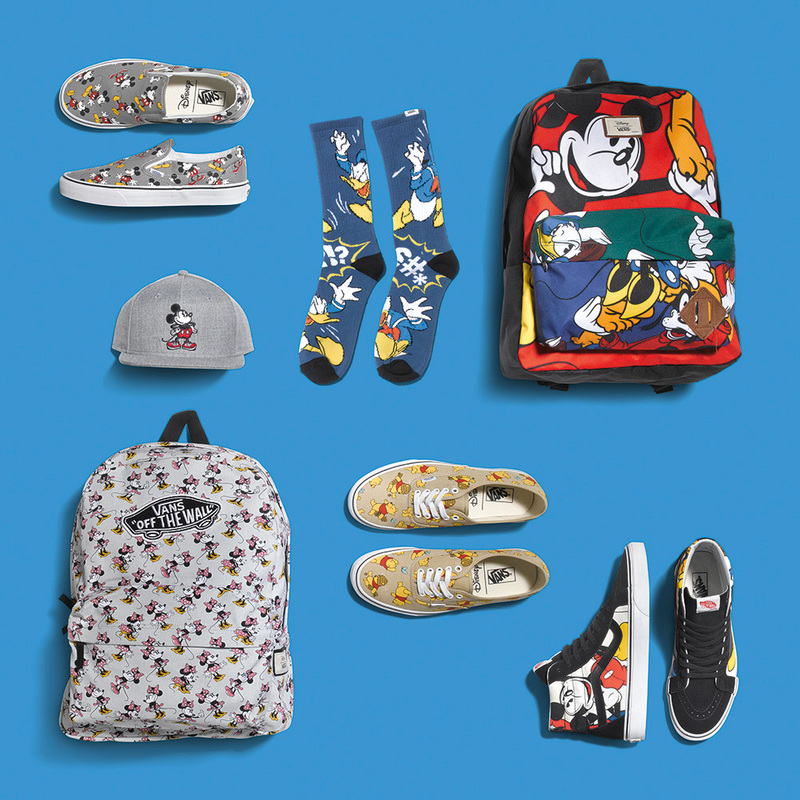 Vans has partnered with Disney to release a collection of footwear, apparel and accessories that will become available in the Fall. 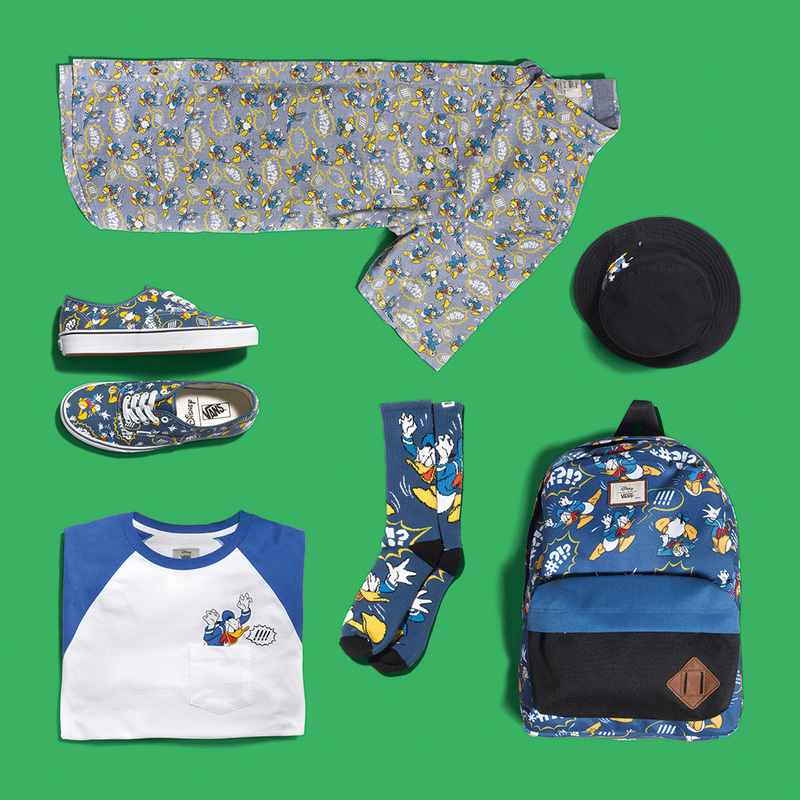 The Young at Heart collection will kick-off with a six-piece offering of Vans Classics featuring iconic Disney characters such as Mickey and Minnie Mouse, Donald Duck, and Winnie the Pooh. 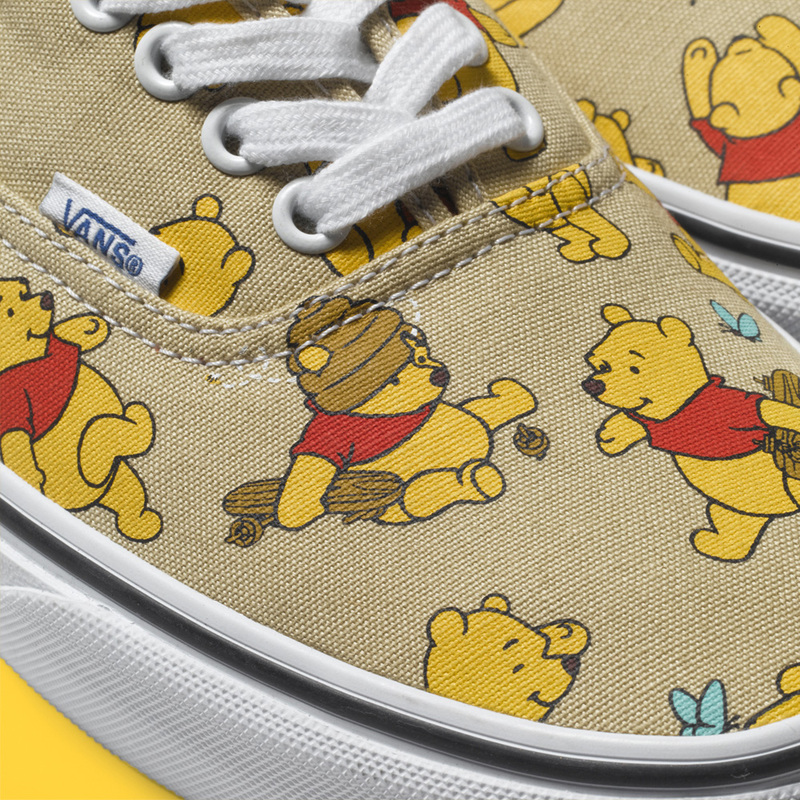 For the little ones, the collection will include a few offerings that include a Mickey and Minnie Classic Slip-On, Winnie the Pooh Authentic, and Mickey and Friends Era for kids and toddler sizes. 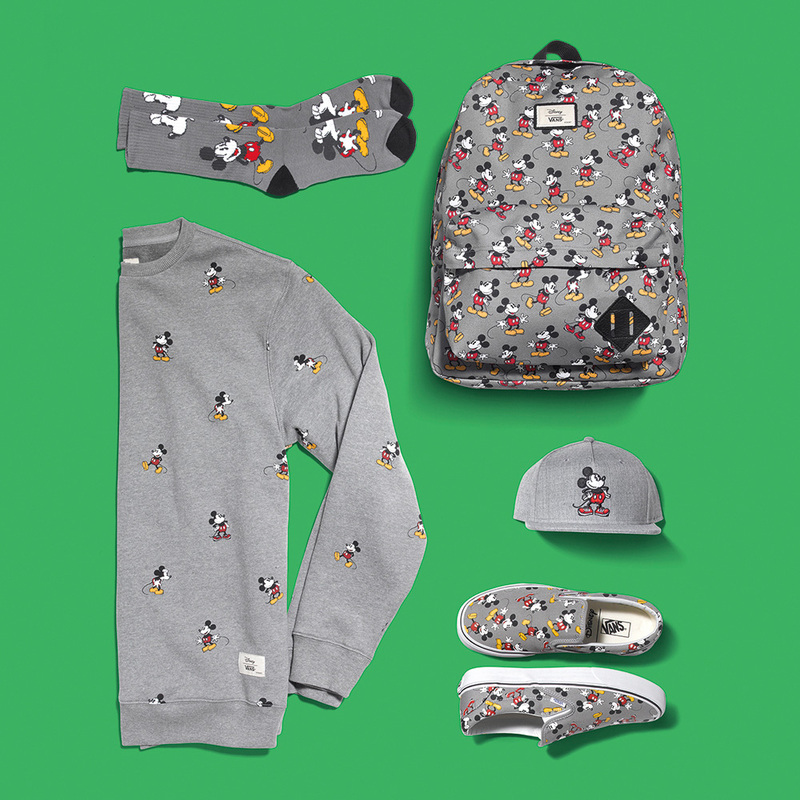 The apparel and accessories will be highlighted by Mickey, Donald, and Mickey & Friends prints featured on tees, hats, backpacks, and socks. 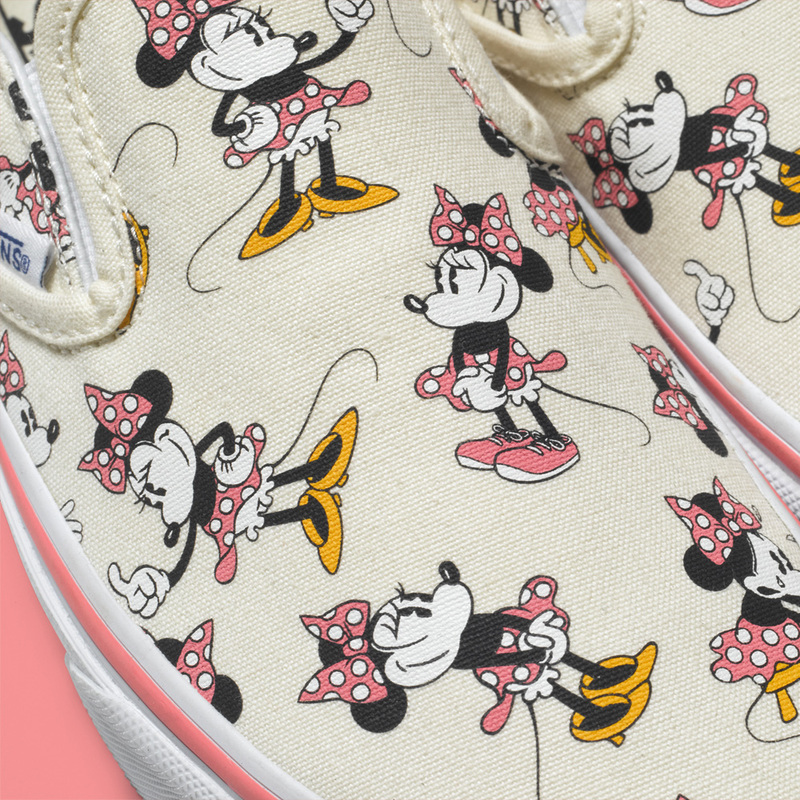 Minnie Mouse will be featured across a selection of tees and accessories. The collection will be available in June at Vans retail stores and select locations globally. 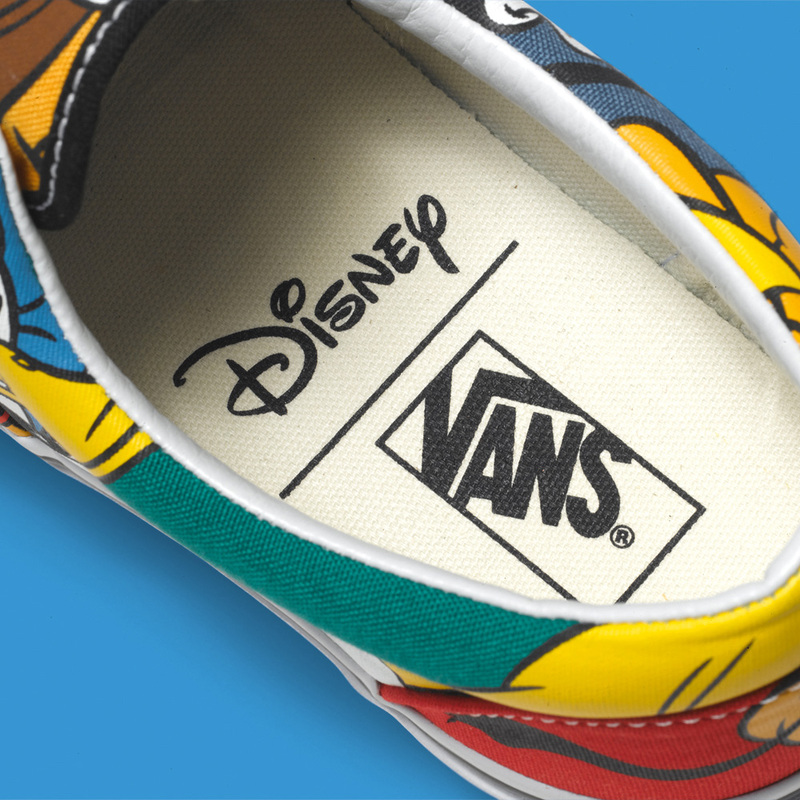 For more info visit vans.com/disney.